Samsung Galaxy S7 review | What Hi-Fi? 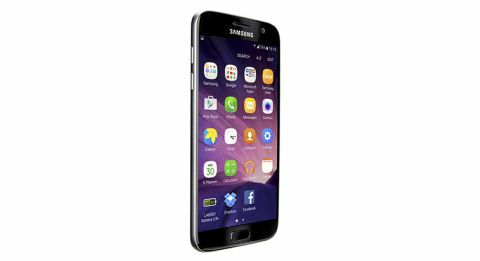 The Samsung Galaxy S7 is like an S6 that’s taken a long hard look in the mirror and vowed to be even better. There wasn’t much on our improvements wishlist to begin with, but Samsung has ticked almost all the boxes anyway. And that’s great, because we thought we’d lost you for a while back there, Samsung. After producing two of the best phones a fledgling Android operating system had seen with the S2 and S3 handsets, the Galaxy range seemingly lost its focus – an awkward teenage phase where gimmicky software and uninspiring design were the order of play for the next few years. Then the S6 happened. It felt like a turning point, like everything that had uprooted itself had fallen back into place, and all at the right time. Samsung was back, and it meant business. Never more so than this year and the Galaxy S7. You won’t find big flashy innovations here – Samsung has learned its lesson with that before. Instead, it’s concentrated on some careful tweaking of an already great phone to make it one of the best smartphones you can buy. From a purely design perspective, the Galaxy S7 looks very similar to its predecessor, sharing almost identical dimensions to the S6. Spec-sheet twitchers will spot it’s actually 14g heavier and 1.1mm thicker than last year, but that’s not something you’re going to notice in the hand. Pick it up though, and you will feel something different. While the build is still as premium as ever, all glass and aluminium, the back now has a subtle curve to its edges, making it easier and more comfortable to hold with a little added grip. It’s waterproof too – IP68 rated for handling depths of up to 1.5m for up to 30 minutes – something we haven’t seen on a Galaxy handset since the S5. It’s a welcome return though, especially since this time Samsung has waterproofed the microUSB port so there’s no need for a fiddly rubber cover for protection. Another welcome return is the microSD card slot, which was nixed last year in place of a more premium design. It was one of our only major criticisms of last year’s handset, so it’s good to see Samsung has worked around the hardware restraints to squeeze it back in as part of the SIM tray. You’ll now be able to boost the 32GB internal storage by up to another 200GB. Hurrah! The final design tweak is another subtle one, but one that will please the nitpickers. While the rear camera module jutted out someway from the slim body of the S6, Samsung has managed to get it much closer to the body of the S7. It still doesn’t quite manage to sit completely flush, but at 0.46mm away from the back casing, it’s close enough to make for a much cleaner line. Samsung’s excellent fingerprint scanner returns here too, as part of the home button – and it’s as responsive as the best of them. We’re still waiting on Samsung Pay to launch in the UK, so for now the scanner is just for security – though you can authenticate Google Play purchases with it too. There wasn’t a lot more we’d ask from Samsung in the screen department – last year’s S6 display was among the best we’d seen on a phone – so we’re glad to see that it’s still looking as good as ever. Thankfully Samsung hasn’t been tempted by the battery-draining pull of 4K as on Sony’s Z5 Premium. Instead it sticks with the same 2560 x 1440 2K Super AMOLED display from last year, in the same 5.1in screen size. That’s fine by us. Colours are vivid but realistic, blacks are market-leadingly deep and lines are crisp and sharply drawn. Contrast is superb too, allowing whites to really punch through even the darkest of scenes, with plenty of fine detail to boot. The iPhone’s slightly dustier blacks mean it is capable of picking out a touch more detail in the shadows, but the S7 answers that by pipping the Apple for highlight detail. Samsung still offers a few screen modes: we find Basic gives the best, most natural balance; AMOLED cinema might look initially impressive with its pure bright whites, but we find colours tend to tip the balance into being a touch over rich, which in turn affects subtlety. The basic mode brings a warmer tone to whites, which you might notice more on webpages. If this bothers you, switch to the AMOLED mode for browsing but remember to change it back to Basic when watching video for the best experience. A new feature this year is the Always On display, which allows you to have basic information, such as time, date, notifications and even a simple illustration, appear on your screen at all times. The reason for it? Samsung says we check our phone screen more than 150 times a day, often just to check the time, and that this Always On display will cause much less battery drain – just 1% an hour according to Samsung. We have to say we don’t notice any negative effect on battery life by having it on, and while we do find it pretty useful, we also find it distracting at times. When it is sitting on our desk, just the clock ticking over will catch our eye, in the same way a text message coming in does. There’s no way to dim the display at night either, which might frustrate some. We’re on the fence on this one – but Samsung allows you to turn the feature off if you prefer. We all know better than to judge a camera by its megapixels, so the S7 dropping from a 16MP to 12MP is nothing to be alarmed about. In fact, it’s one of the biggest talking points of the phone. For a start, this is the world’s first smartphone with dual-pixel autofocus – something usually found in full-blown DSLR cameras. This basically allows for almost-instant focusing speeds in around 0.2 seconds. Not only does it mean you’ll get great, sharp shots without waiting around, but it will also track fast-moving subjects and keep them in focus throughout. It works – the autofocus is lightning quick, and is able to fire off shot after shot without a second thought. This isn’t the only improvement from the S6 though. A larger aperture (up from f/1.9 to f/1.7) lets in 25 per cent more light, and an increase in pixel size means more than 50 per cent more light than before is absorbed. There’s also optical image stabilisation to keep things sharp. All of this should make for better results in low light, and we’re pretty impressed in our tests. We first try taking a snap in a very dark room without flash and, while the S7’s live preview doesn’t look too promising, the results are. Objects that the iPhone 6s is barely able to detect are present and correct – a little soft perhaps, but brightened and visible all the same. More agreeable low-light conditions offer better results. There’s still some softness here, and an expected loss of detail, but there’s much less noise than you’ll notice on the iPhone’s efforts. We do find the S7 can occasionally overdo highlights in its quest for brighter shots though, while the iPhone manages to stay a little more balanced, if noisier. The iPhone’s flash creates a warmer, more natural result too. Well-lit photos are more closely matched though, and performance is good. Colours are bright and vivid, contrast is strong and edges are well defined – all things we’ve come to expect from Samsung in recent years. There’s maybe a little too much sharpness than is realistic, thanks perhaps to a touch of overprocessing, but it’s only really noticeable when you zoom in on an image – it’s far from distracting. Most importantly, the app is well thought out and easy to use, with all the controls you’ll need, including HDR, to hand on the main screen. We stick to the auto setting for the most part, but the Pro mode opens up a whole host of manual controls for the budding photographer, including ISO, white balance and shutter speed. Video is also available all the way up to 4K resolution. We stick to 1080p for the perfect balance of detail and file size, but there’s also slo-mo and hyperlapse recording to hand should you wish. It’s not just the hardware that Samsung has listened to feedback on – it’s heard the cries for a less oppressive TouchWiz interface too, and acted on it. TouchWiz is still there of course, sitting over Android 6.0, but it’s subtler. Samsung’s pre-installed apps are kept to a minimum – there’s not even a Samsung music player installed (though you can download it if you wish) – and are all automatically tucked away in their own folder. Still too Samsung for you? The S7 even allows you to choose to use the Google Now launcher at setup for a more vanilla Android experience. Audio has been an area Samsung has worked on quietly for a few years, and the benefits are clear in the listening. Music sounds clean and well organised, digging out plenty of detail across the board and showing a good ability with dynamics. Bass is tight and well controlled, and there’s a lovely clarity to vocals that, if pushed, we’d say could just pip what we heard last year. The iPhone 6s still takes it for rhythmic drive though, with the full-bodied Apple sound giving it a bit more solidity compared with the Samsung’s leaner approach too. Something Apple can’t brag about (not natively at least) is that hi-res audio still gets support in the S7 – and with the microSD card slot offering the ability to expand the phone’s memory at will, it’s now more viable too. Though the Galaxy S6 hardly gave us reason to want more, Samsung has used its new Exynos 8890 processor in the Galaxy S7, offering a 30 per cent speed bump and giving it even more horsepower for whizzing through menus and heavy multitasking. RAM is up from 4GB to 3GB as well, which really helps with fast load times, plus there’s a 64 per cent faster GPU to boot. It’s remarkably fast, with stutter-free transitions between apps and fast load times. Swiping through menus is fluid and immediate and games run smoothly without lag. It certainly never keeps us waiting or leaves us wanting. With all this power, the S7 manages to run remarkably cool, even under pressure, barely warming our palms during an intense blast through Asphalt 8 or a Netflix marathon. This is thanks to the S7’s built-in thermal spreader, which works in a similar way to liquid cooling in a PC to keep heat at bay. The S7’s battery also gets a boost over its predecessor, up from a 2550mAh battery in the S6 to a 3000mAh one (though it’s still not removable). It’s a subtle upgrade, but one we welcome. Regular users will easily see out a day on this battery and we think most power users could too – an hour of Netflix over wi-fi on half brightness drained the battery by 8 per cent. After such a big jump in design last year, we’re not surprised to see Samsung stick to its guns and make a series of refinements to the S7’s look and feel rather than go for headline-grabbing changes. The fact is, those small tweaks all come together to make a pretty impressive package indeed. While the S7 might look great on paper, it’s even better in use – a real all-rounder that tops everything we’ve seen from Samsung yet.